It's been a tough season for California crabs, crab fishermen and those who love the tasty crustacean. But just because crabs from our own waters are off the table for a while, it doesn't mean we've stopped loving them or valuing their importance in our local culture and economy. Fortunately we can raise our claws and toast the scampering scoundrels at the Eureka Crab Celebration, back again on Friday, Jan. 29 and Saturday, Jan. 30 with lots of fun, tasty and educational events on board. And thanks to Southern Oregon and Washington fishermen, the celebration will include our edible guests of honor. Friday night from 5 to 9 p.m., Downtown and Old Town Eureka bars and restaurants serve up seafood specials and crab-themed drinks during the Crab Crawl (pay-as-you-go). Cracked, boiled, steamed, in a dip, in a salad, as cakes, in a martini (?) — we'll take 'em. Come back for seconds on Saturday at 5 p.m.
Saturday is a day of family fun at the Crab Festival at the Adorni Center from 10 a.m. to 4 p.m., featuring food, vendor booths, beer and wine, live music, crab education, kids activities, crab harvesting demonstrations, speeder car rides and more (free admission). 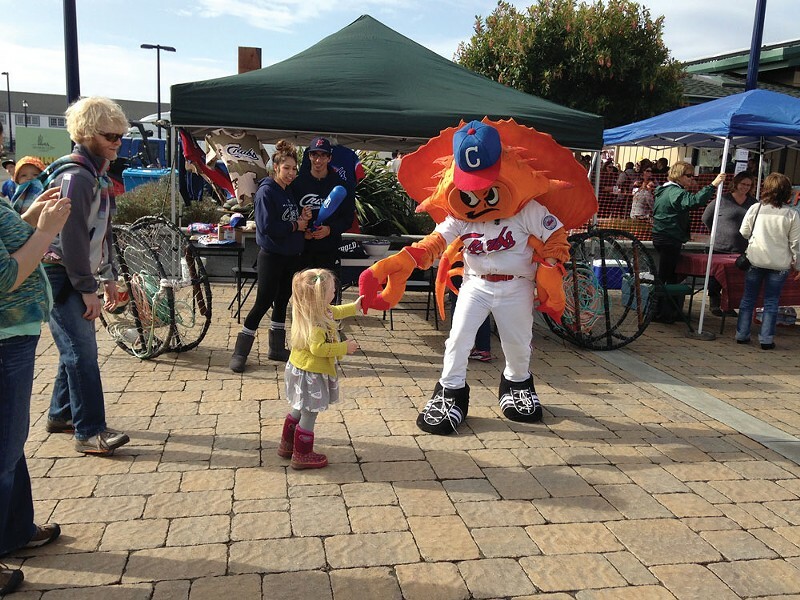 Did we mention the mascot dance-off between Crusty the Crab, Sally the Salmon and Sasquatch at noon? Also on Saturday, take part in the 5K Crab Run starting at 10 a.m. at the Adorni Center ($10, $20 with shirt or hat). Then clickity-clack on over to the Eureka Theater for Roger Corman's Attack of the Crab Monsters at 6:30 and 7:45 p.m. (free). Watch giant, intelligent, brain-eating crabs terrorize people trapped on a shrinking island. We're going to need more butter.